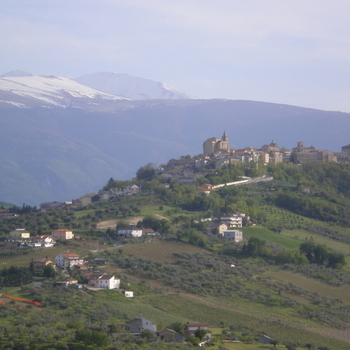 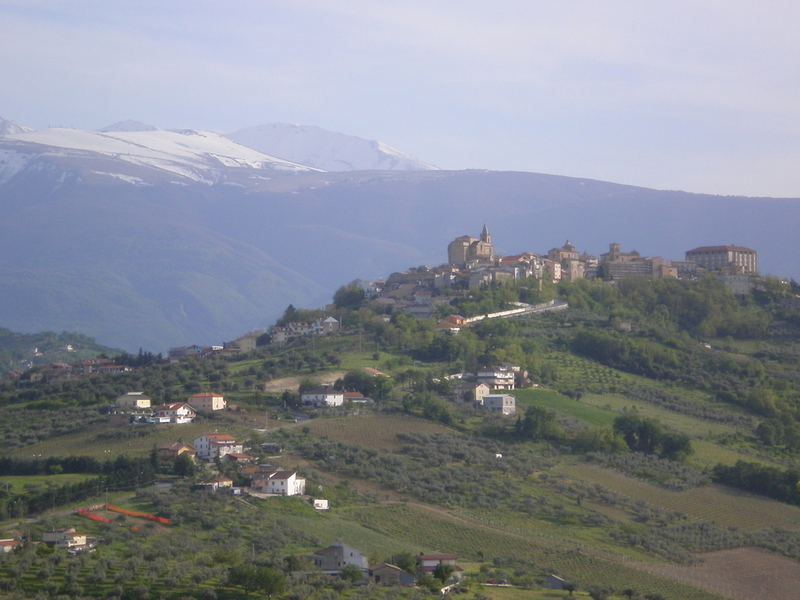 A very pretty Italian hiltop town with a beautiful piazza (town square) and stunning 360° views encompassing snow capped mountains, the Adriatic Sea and miles and miles of olive groves and vineyards. 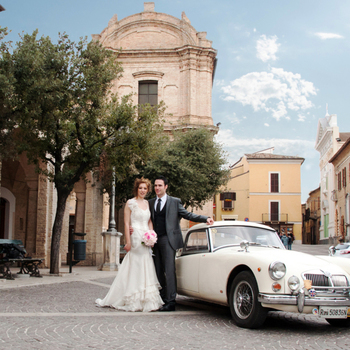 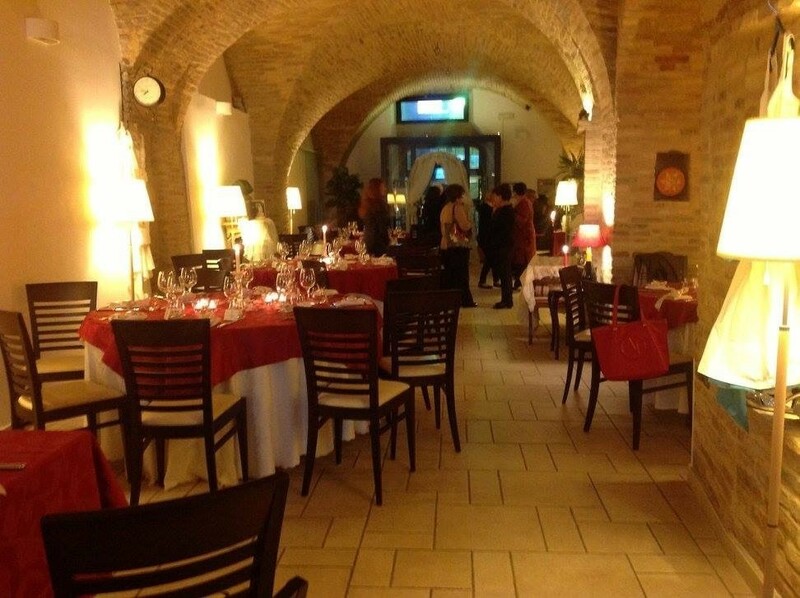 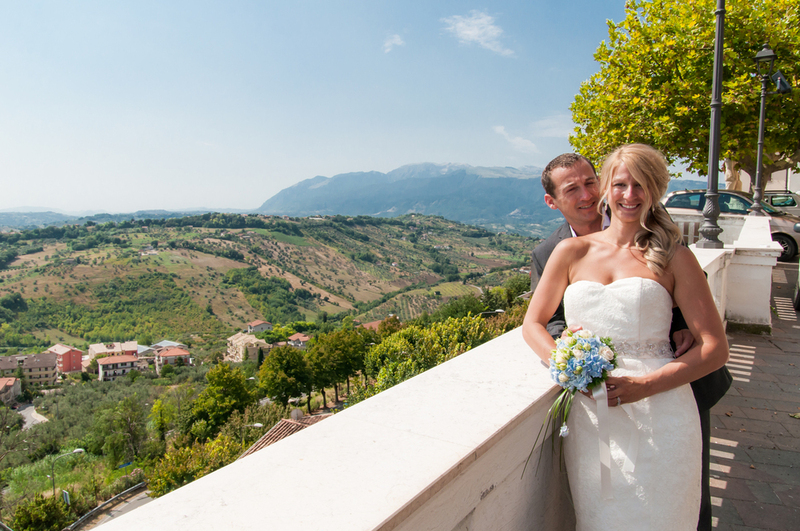 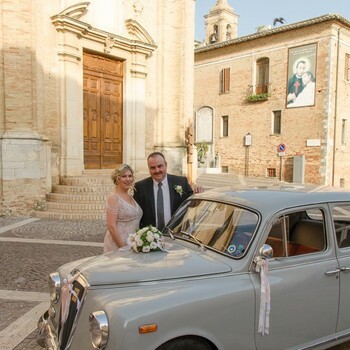 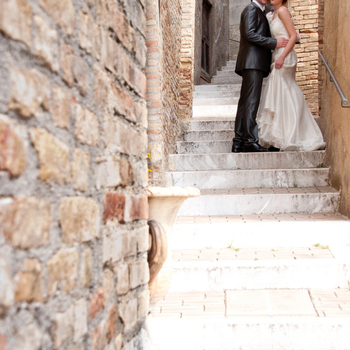 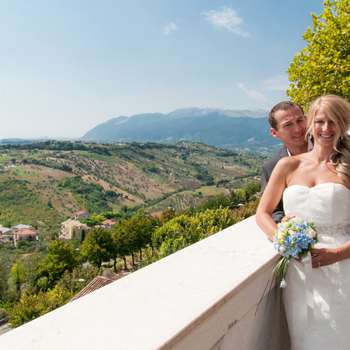 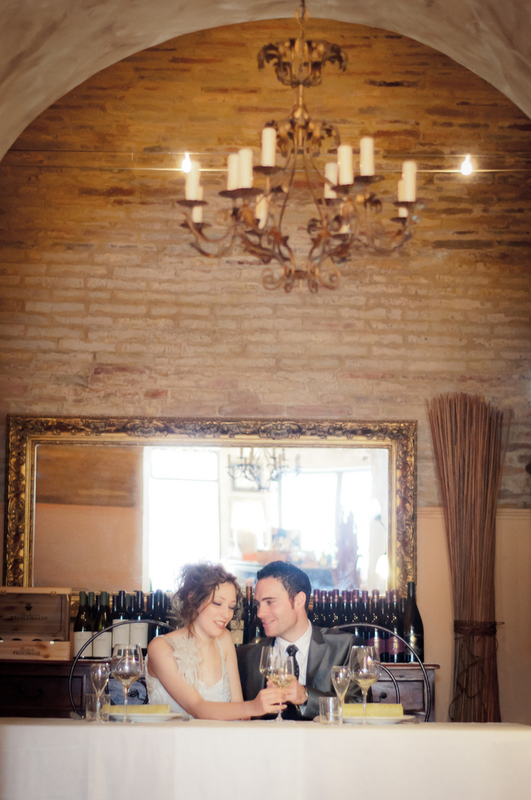 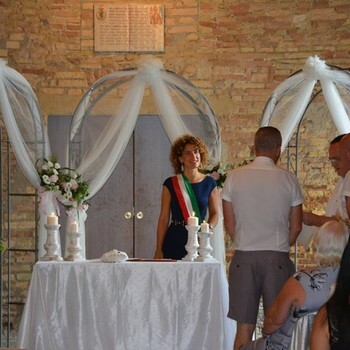 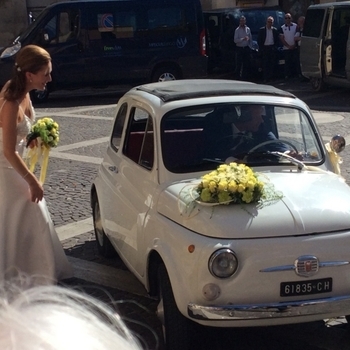 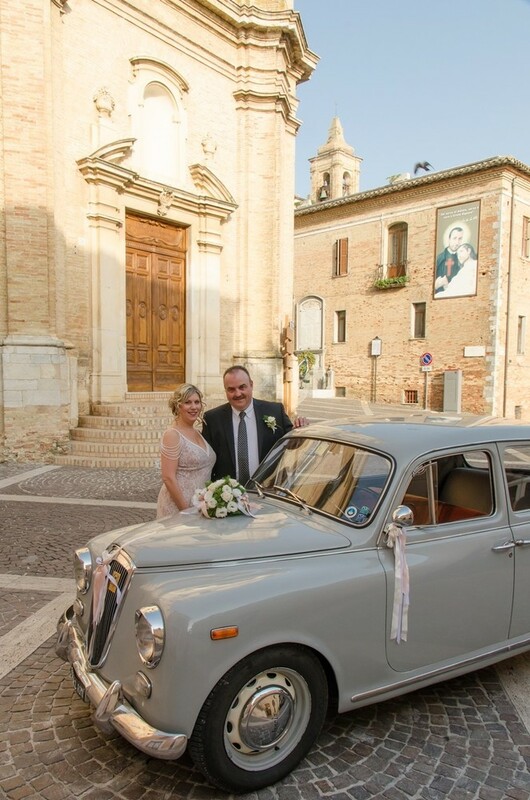 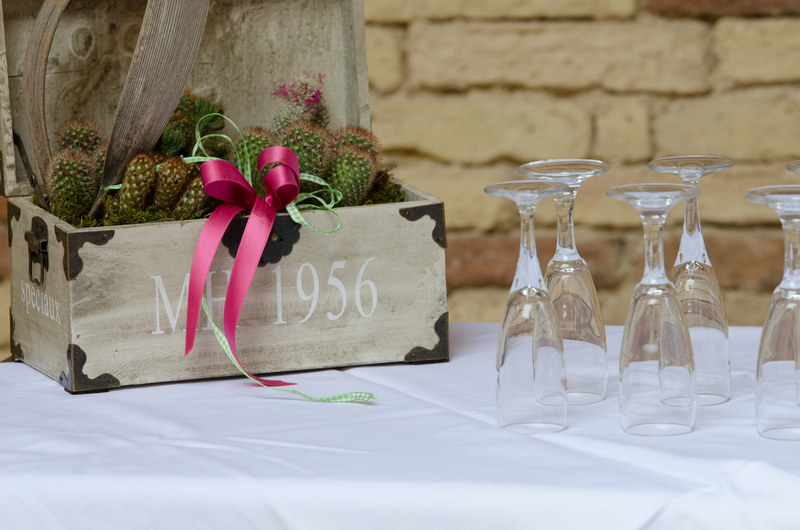 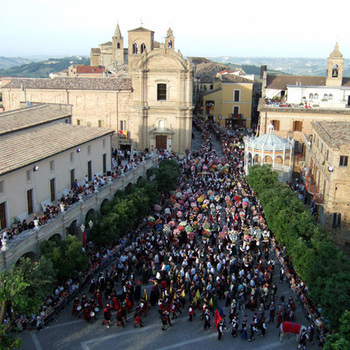 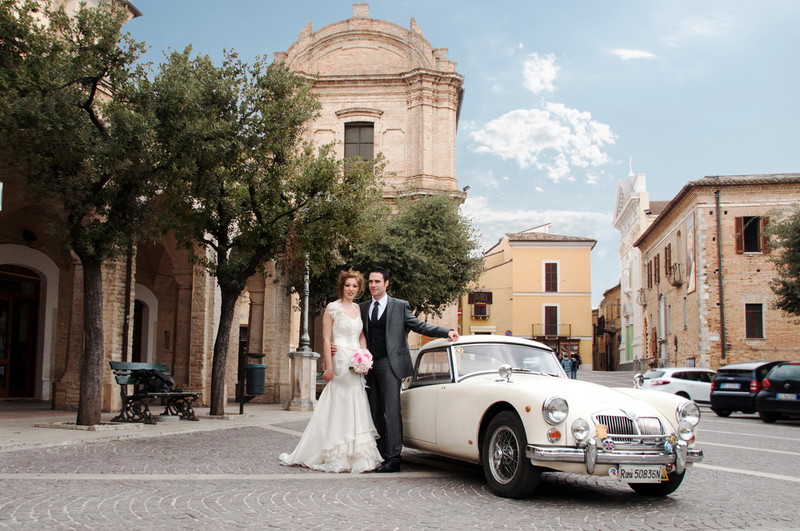 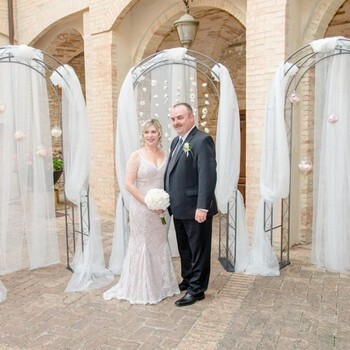 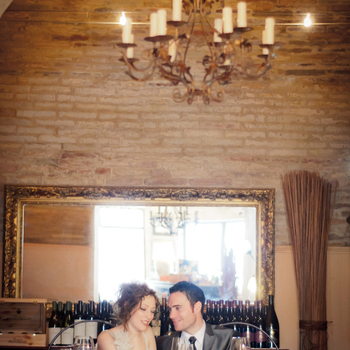 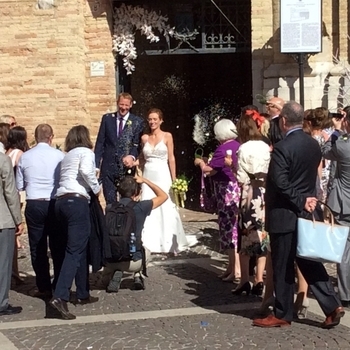 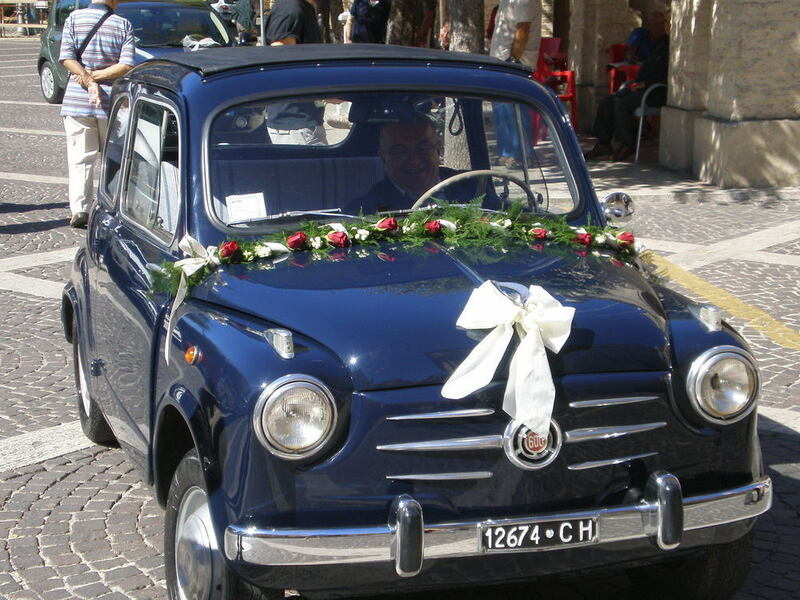 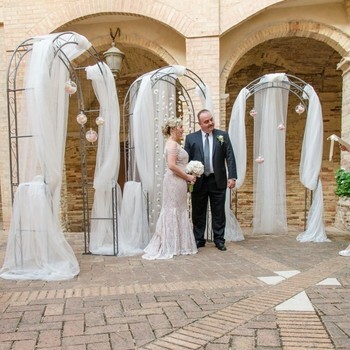 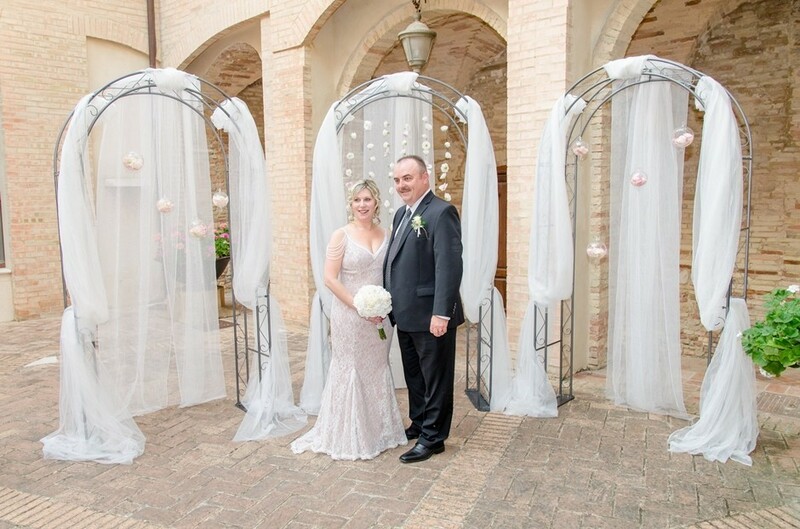 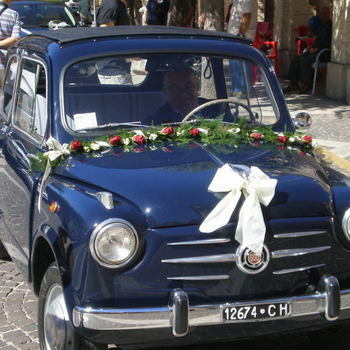 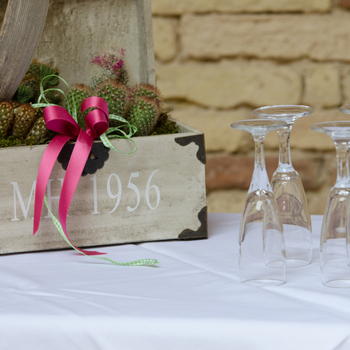 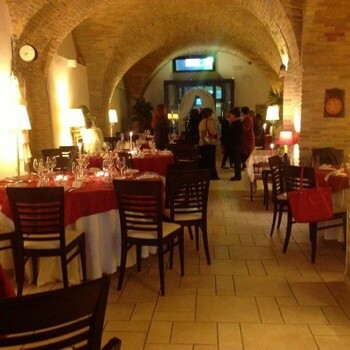 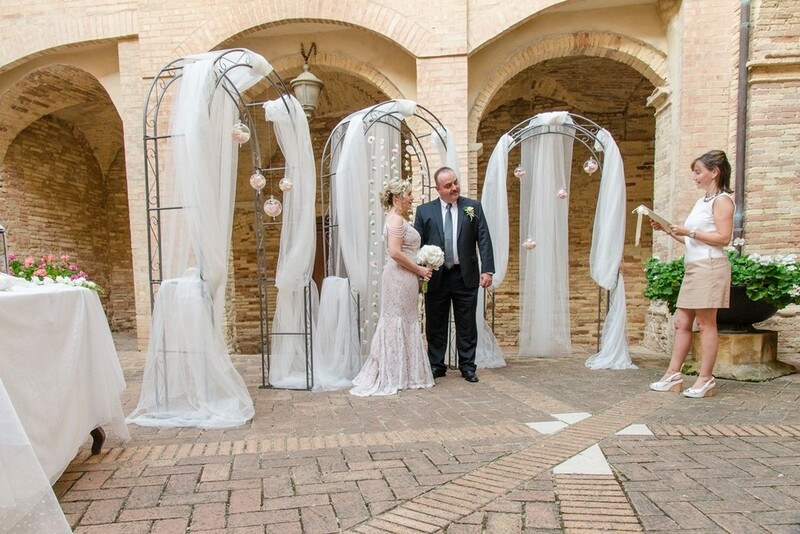 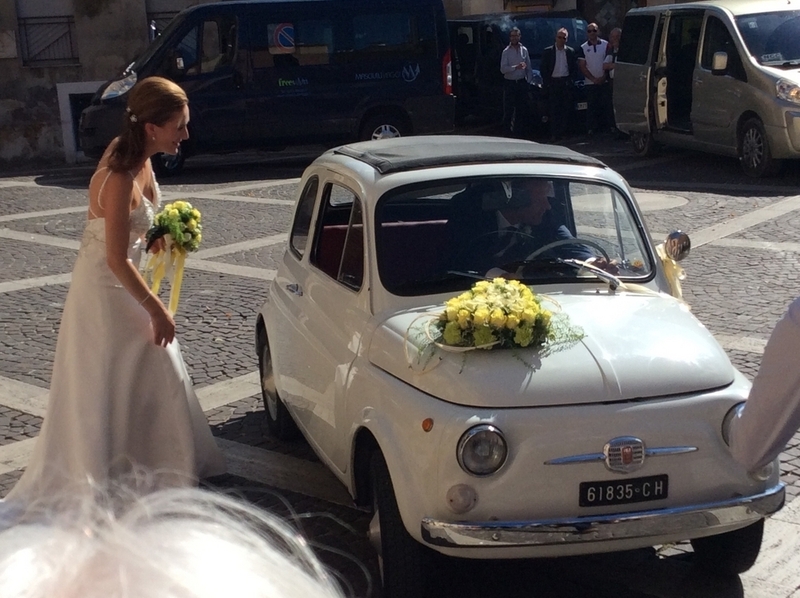 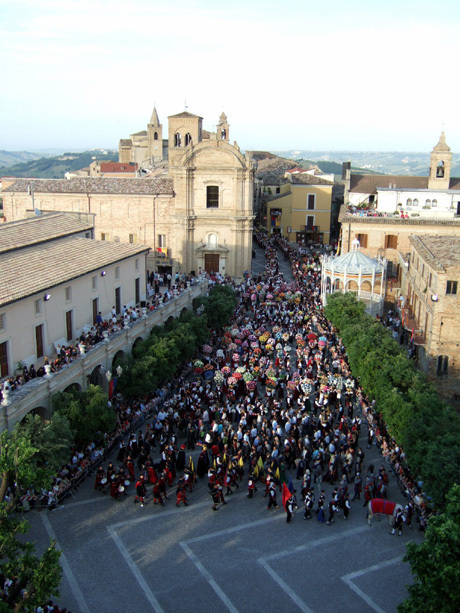 The beauty of getting married here is that you and your guests have the freedom to explore the quaint narrow streets and experience Italian life wandering amongst the cafes and shops. 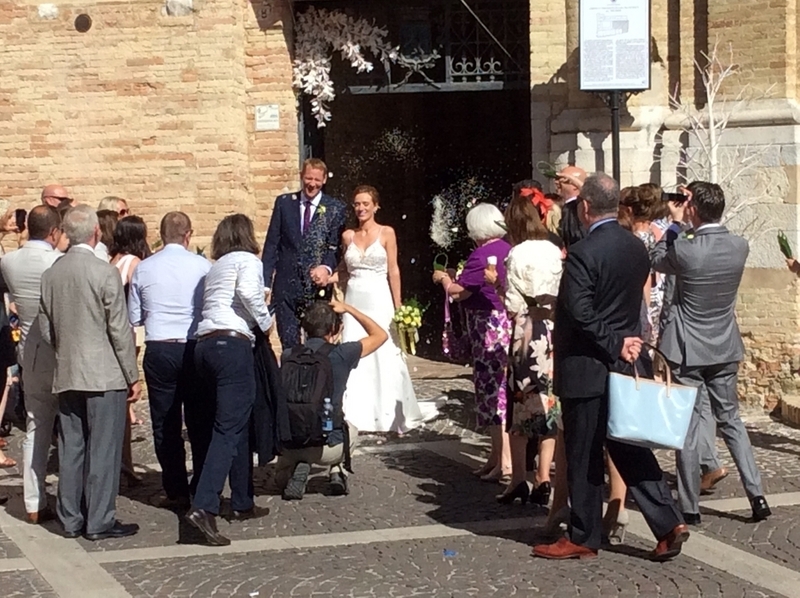 You can mingle with the locals soaking up the warm, sociable and very Italian atmosphere in the hospitable heart of the piazza. 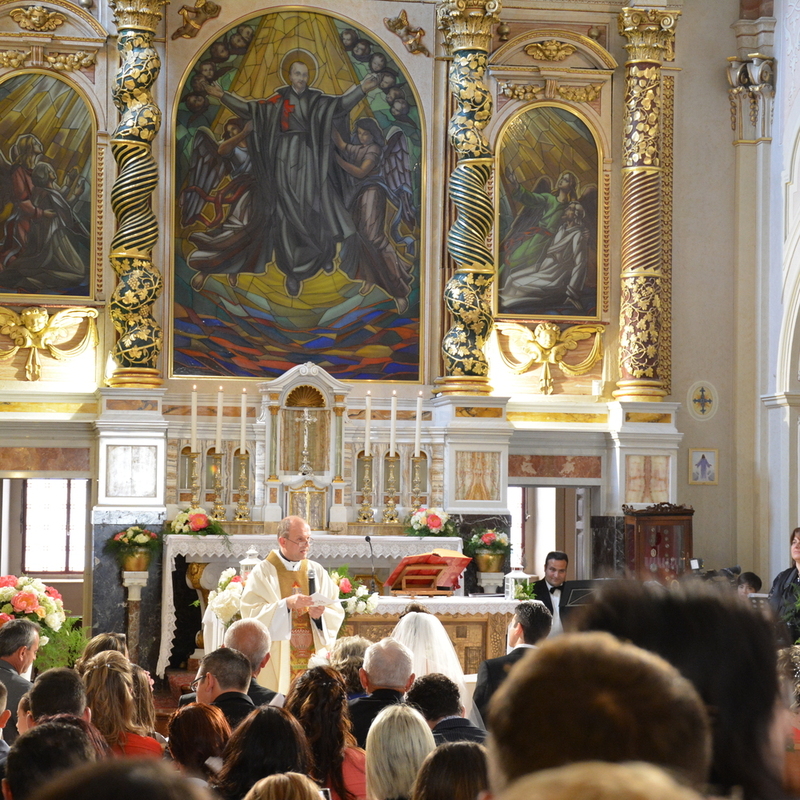 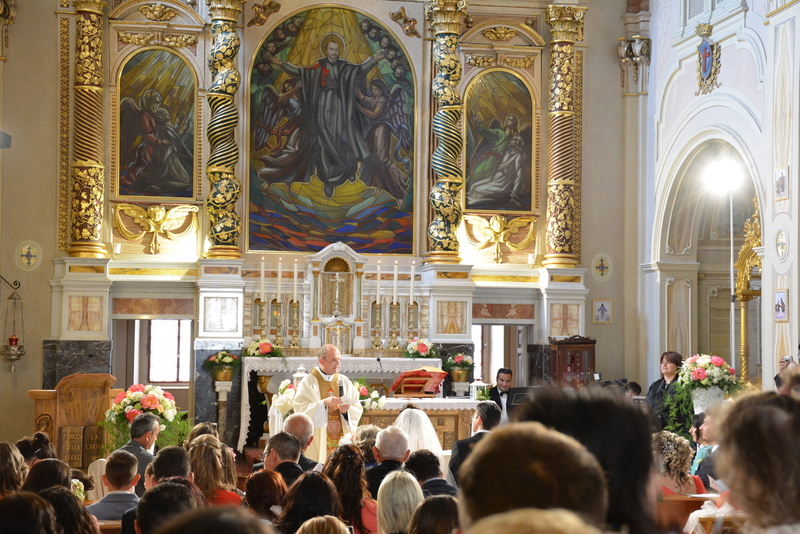 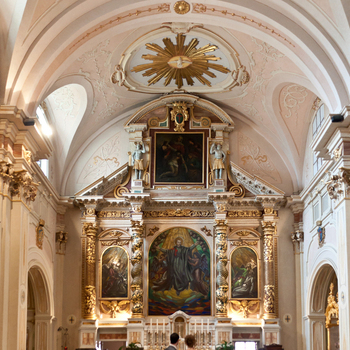 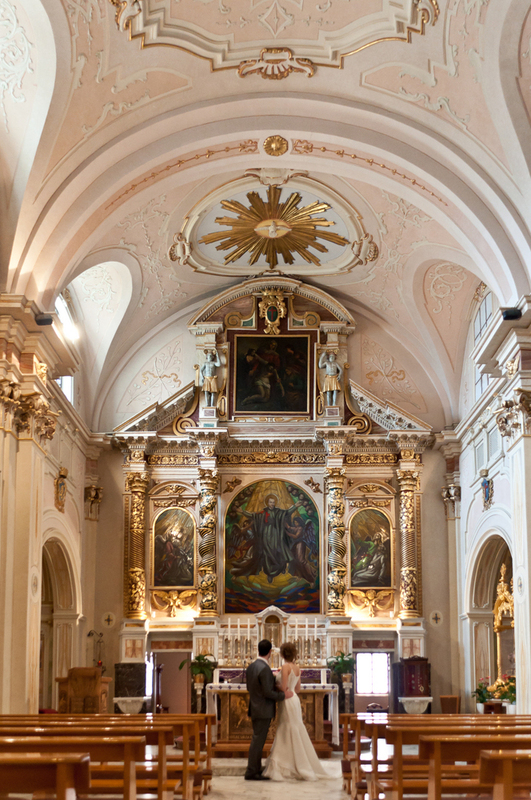 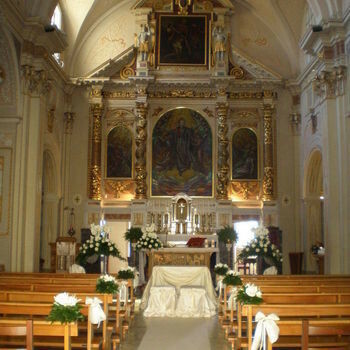 Beautiful Church for catholic weddings. 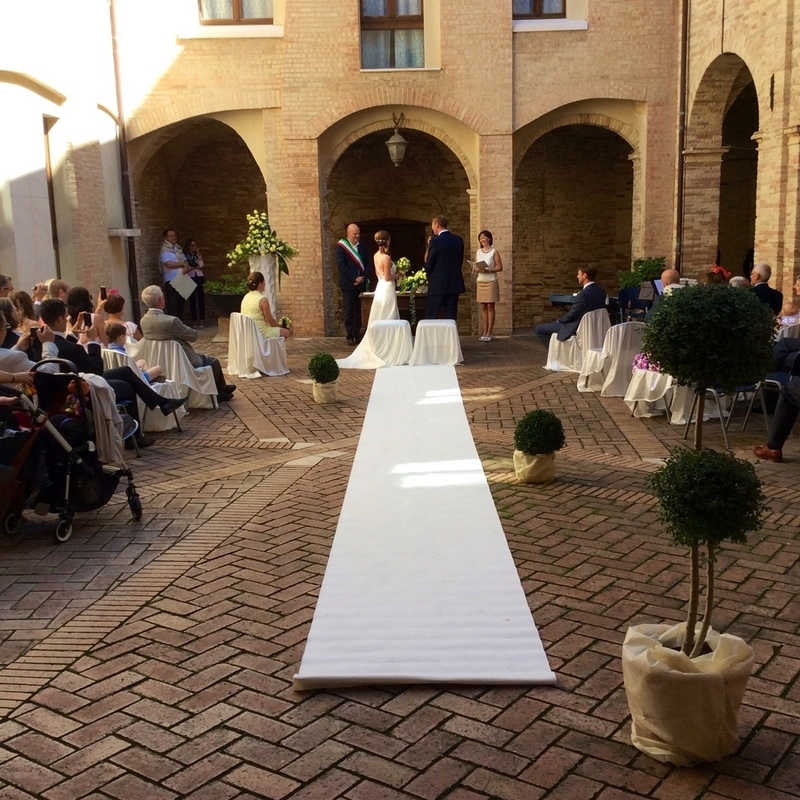 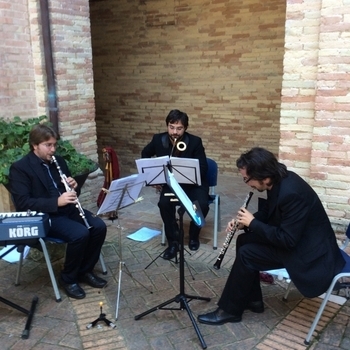 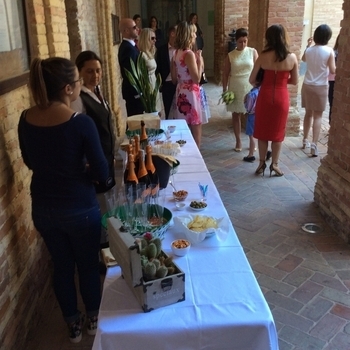 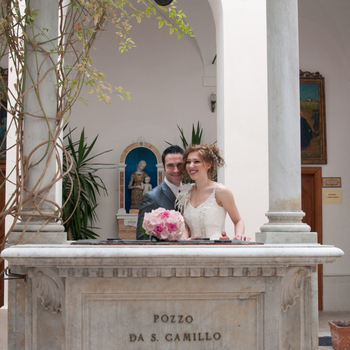 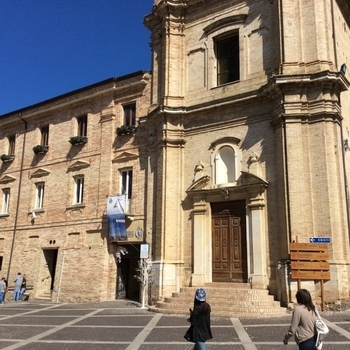 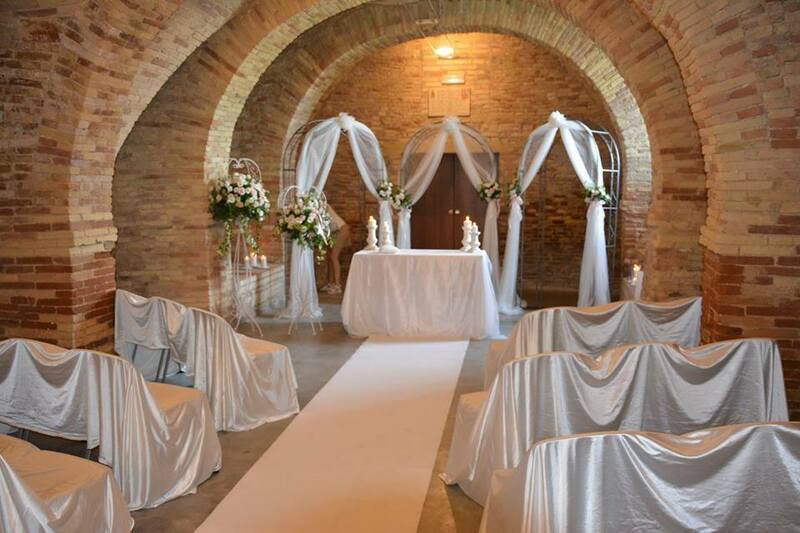 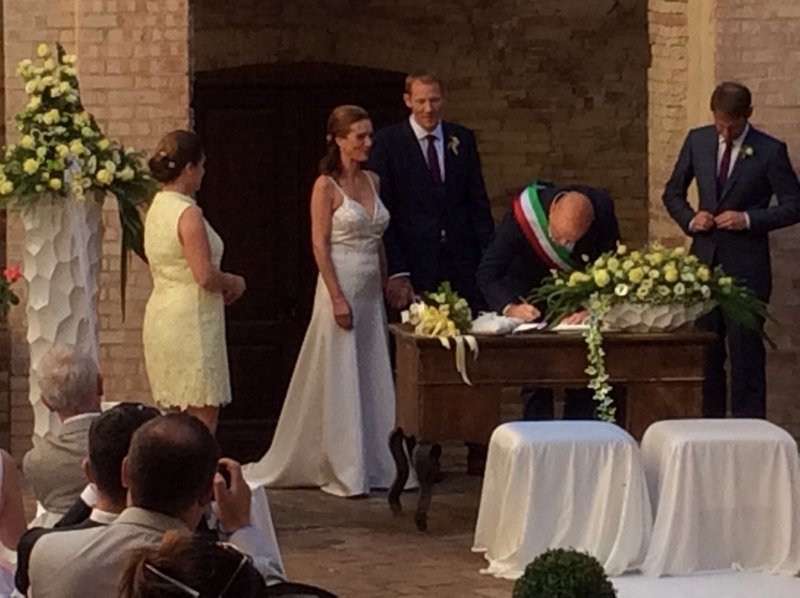 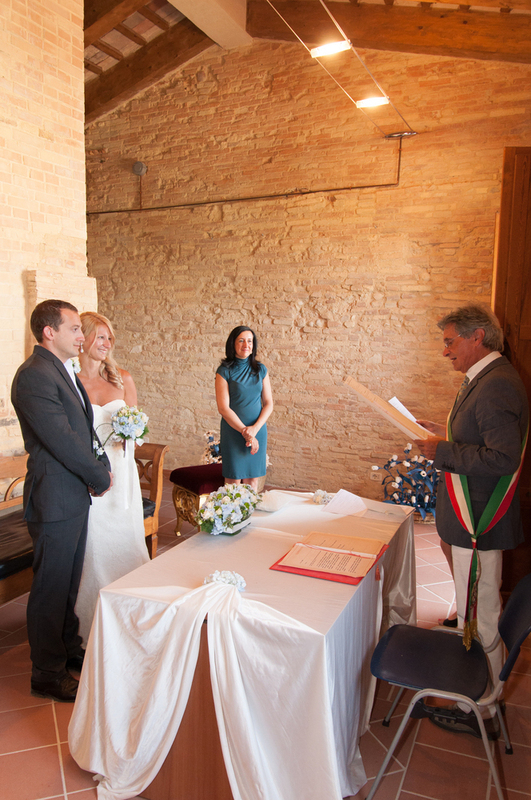 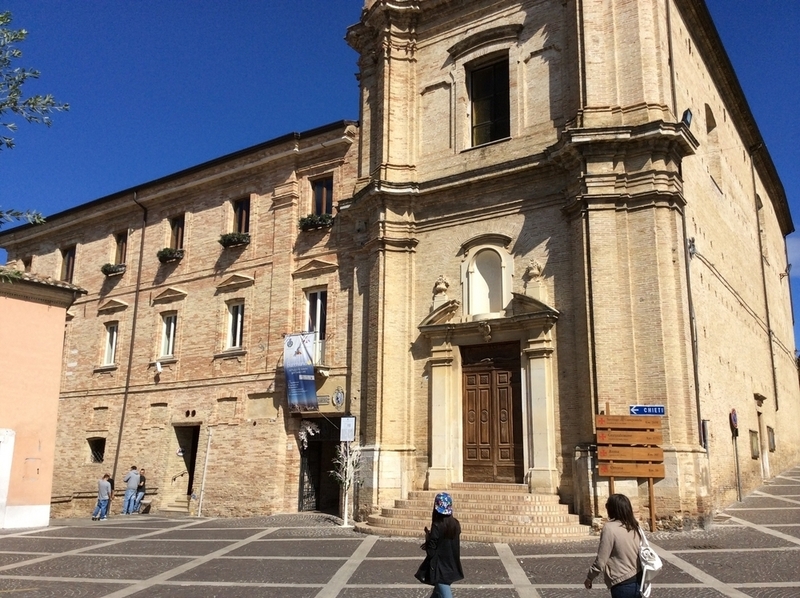 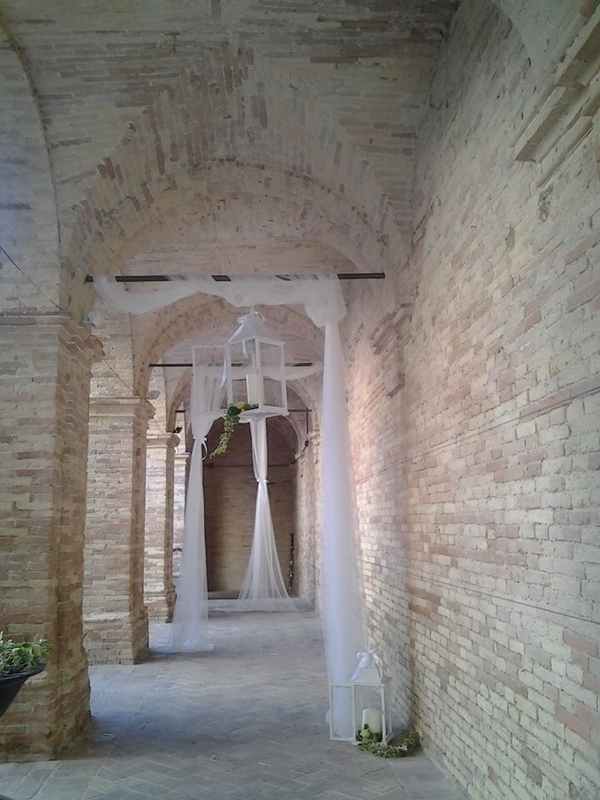 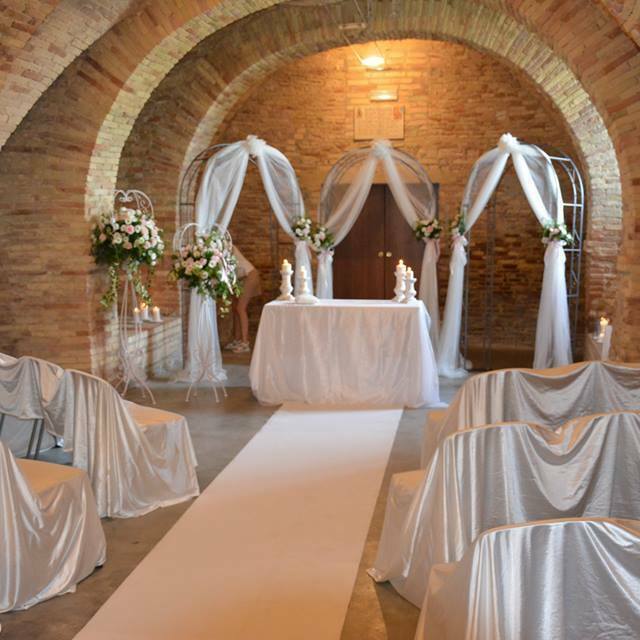 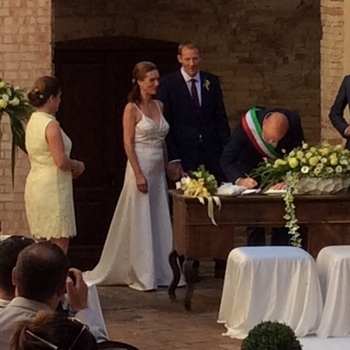 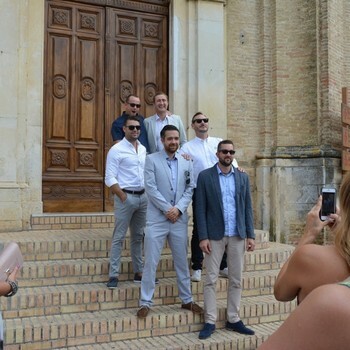 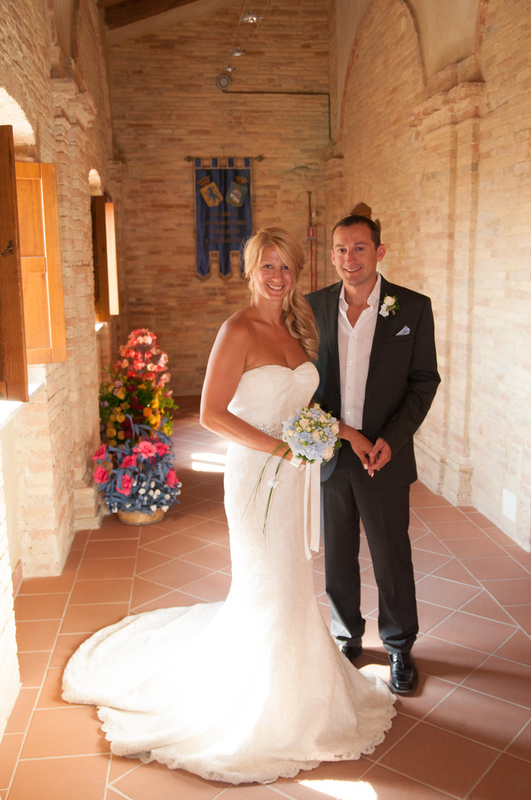 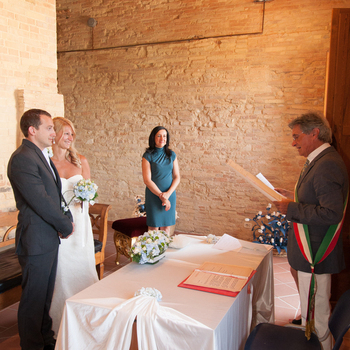 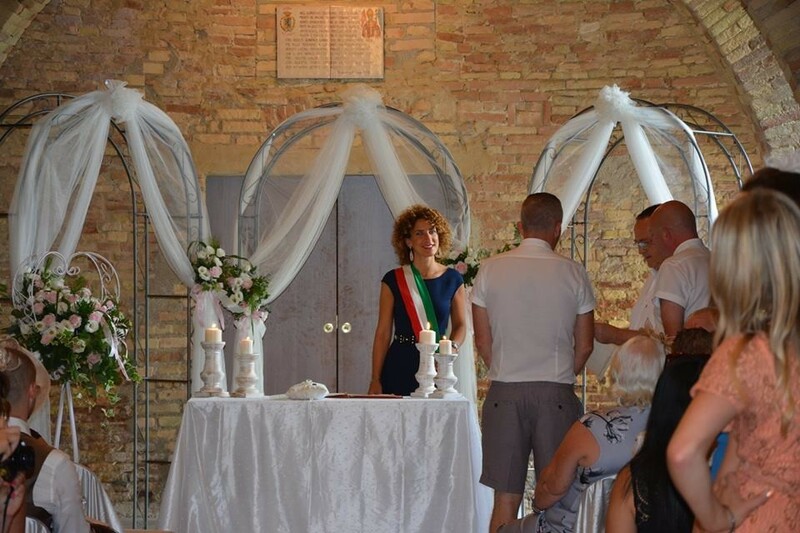 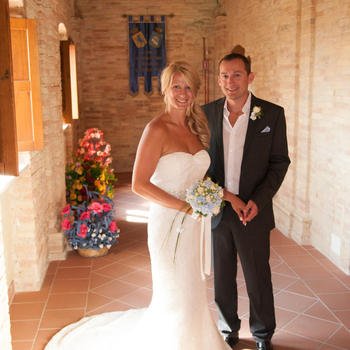 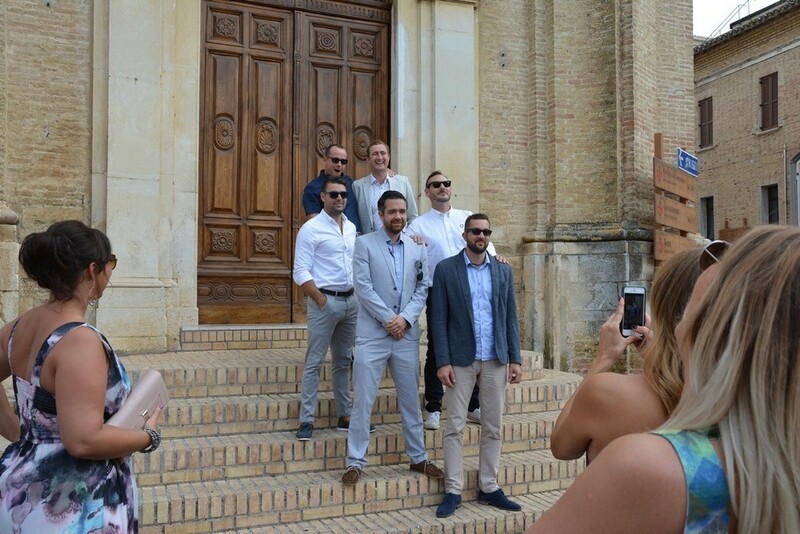 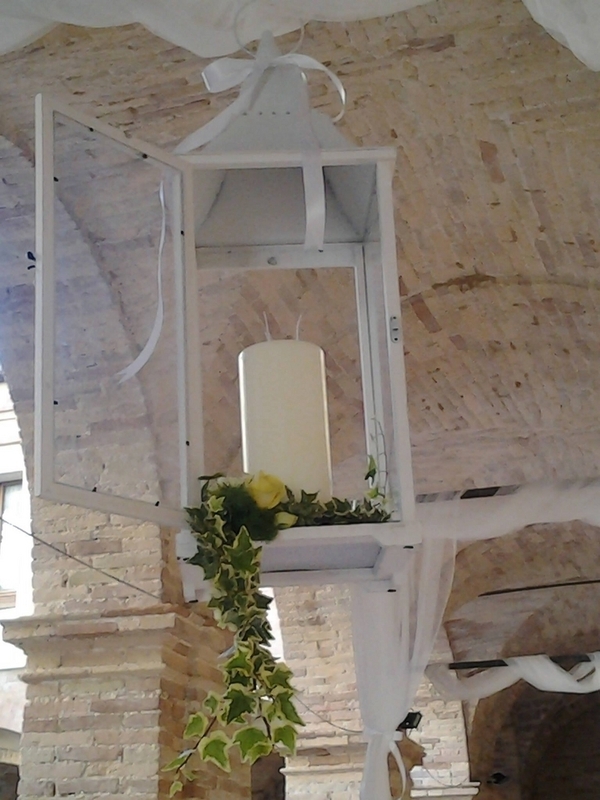 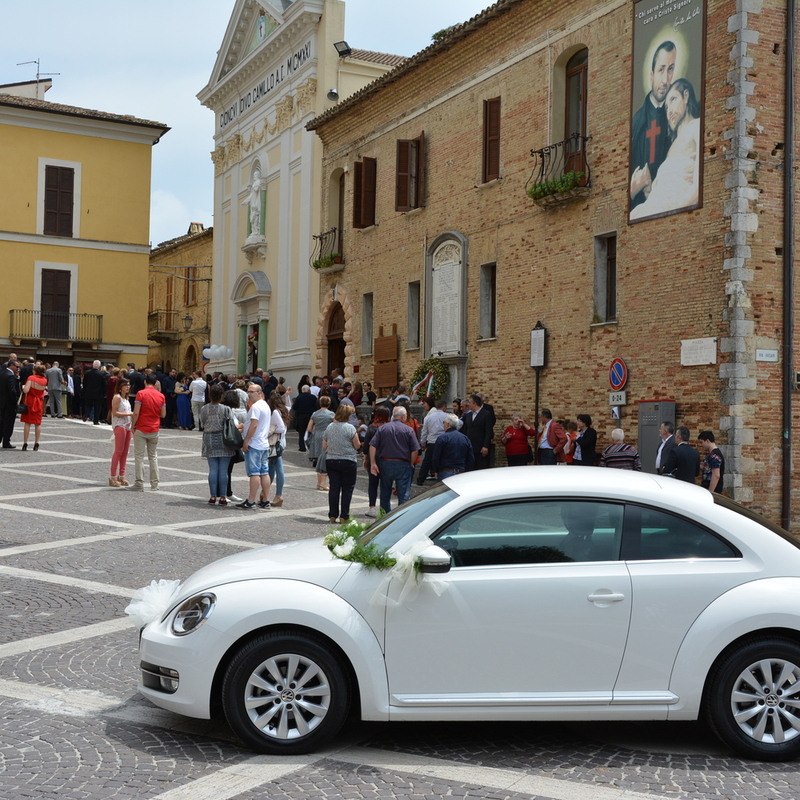 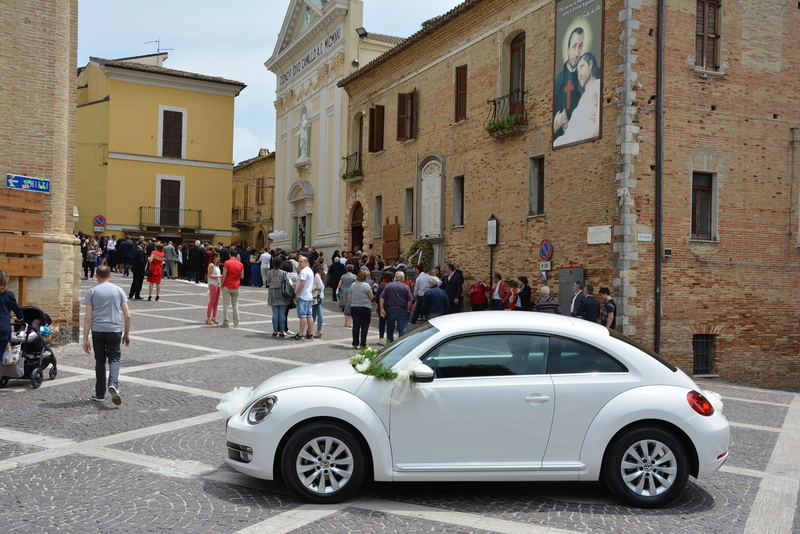 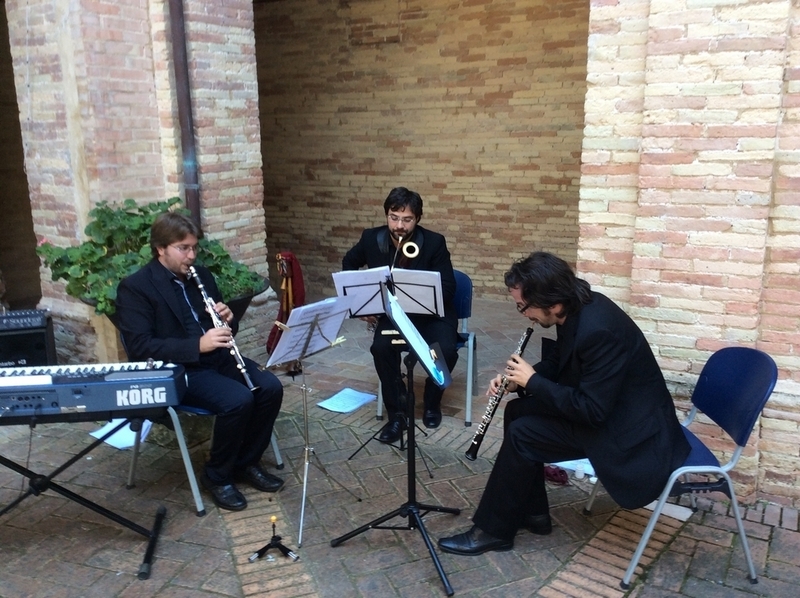 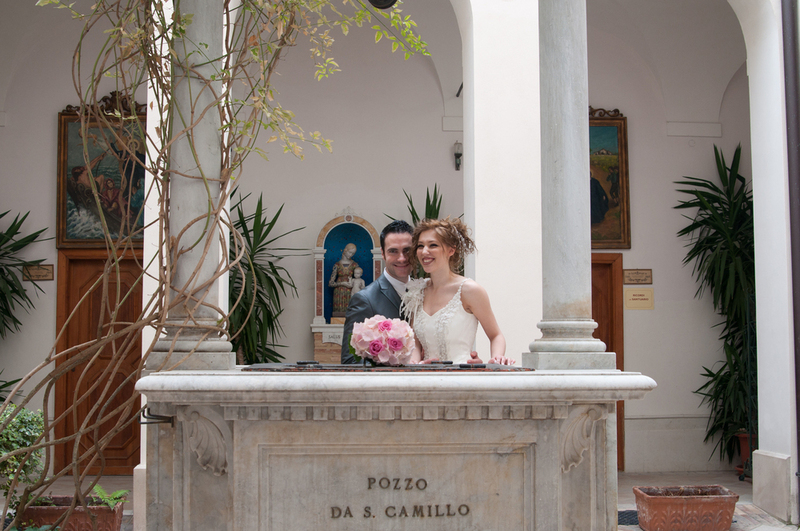 Antique Town Hall with cloistered courtyard for civil ceremonies. 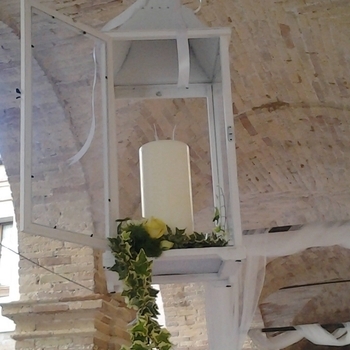 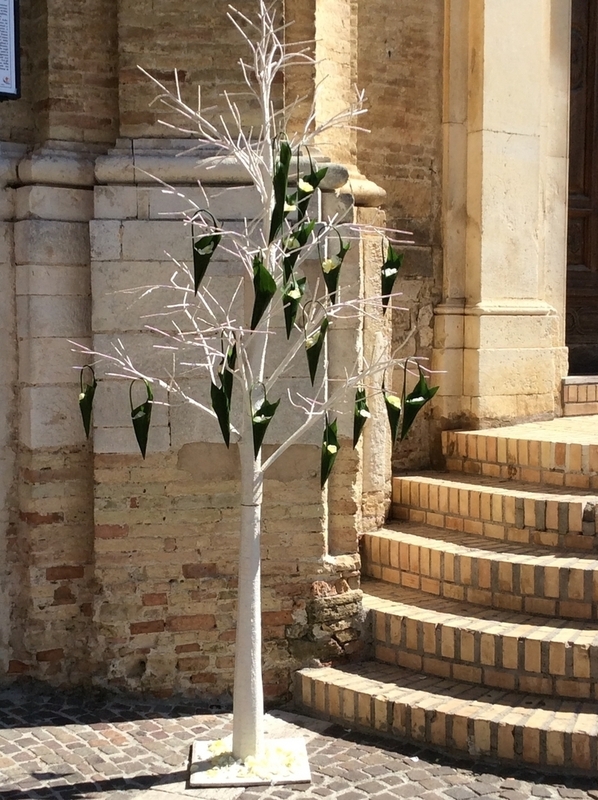 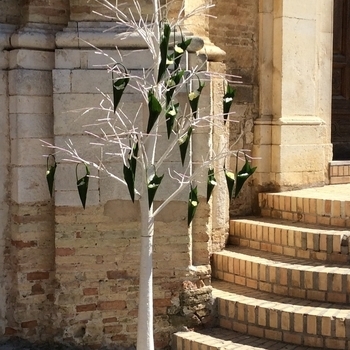 Symbolic ceremony also possible at the Town Hall cloisters. 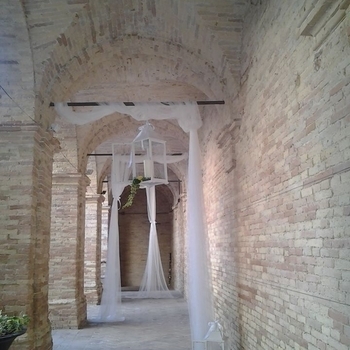 Accommodation in the town for wedding group. 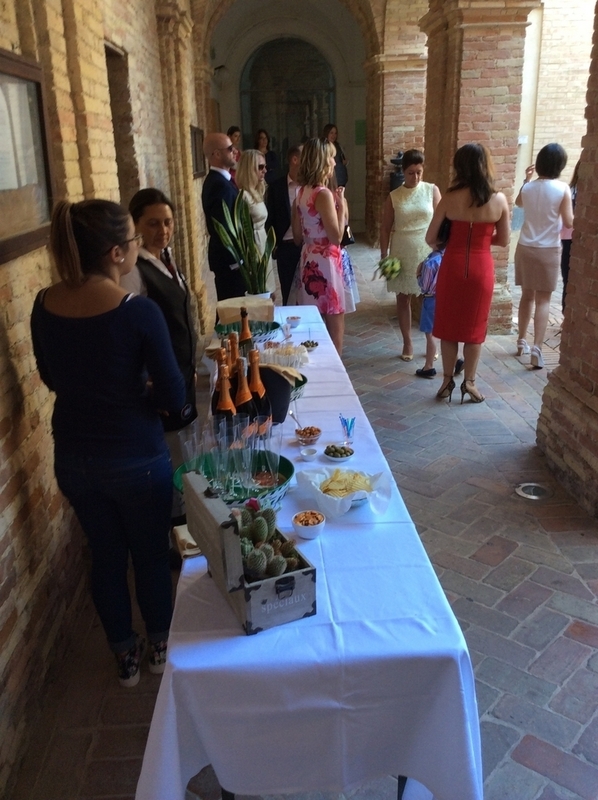 Excellent catering options from the town's excellent restaurants.